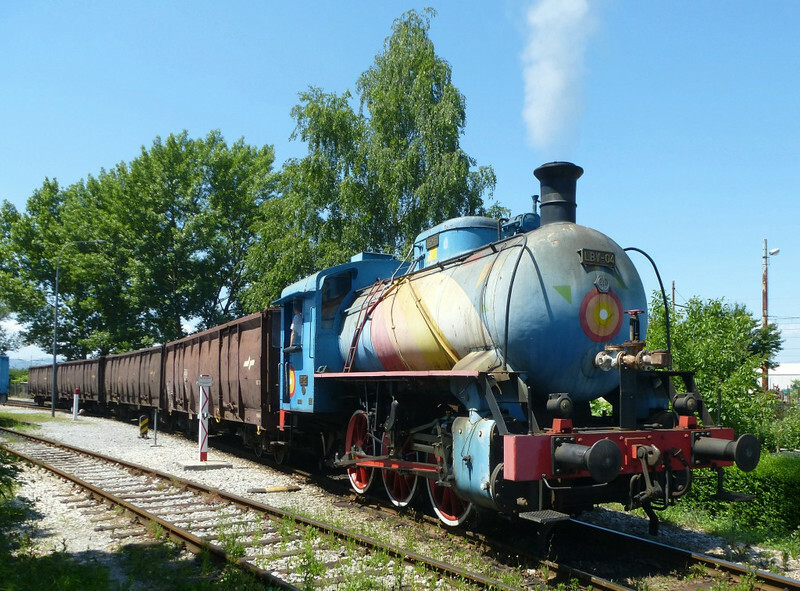 40 photos taken in 2009 and 2014 of 20 locos (in number order) at various locations in former Yugoslavia, and of the two Yugoslav locos brought to England. Also five photos of two 76cm gauge flat wagons converted for military use, one armoured, the other fitted with a giant claw for destroying track. LBV-04, Ljubljana power station, Slovenia, 8 June 2014 1. Fireless 0-6-0T built by Djuro Djakovic, details unknown. This is still in industrial not heritage use. Photo by Dave Scudamore.